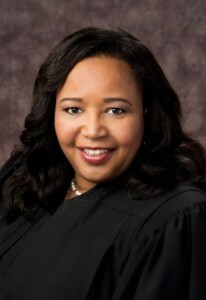 Judge Benson was elected in November 2006 and has served as Judge of Dallas County Court at Law No. 1 since January 2007. She is a 2013 Graduate of the Texas College for the Judiciary from which she received a Certificate of Special Competence in Civil Jurisprudence. Judge Benson has served on the Texas Center’s Curriculum Committee, Nominations Committee and has served as Chair of the By-laws Committee. She received her J.D. from The University of Texas School of Law and her B.A. from Texas Christian University. This year she celebrates her 30th anniversary as an attorney. Judge Benson serves on the Dallas County Dispute Resolution Center Board which oversees the provision of affordable alternative dispute resolution services to and for Dallas County residents who cannot afford private mediations. She is a Master in the Mac Taylor Inn of Court, a Life Fellow of the Dallas Young Lawyers Foundation and a member of the Texas and Dallas Bar Associations. Prior to being elected, Judge Benson was active in the legal community serving in leadership positions on the Board of Directors of the DFW Chapter of National Employment Lawyer’s Association, and as a member of the Women and the Law Section of the State Bar of Texas. She was also active in volunteer work in the community at large through the Junior League of Dallas and served on the Board of Directors of several non-profit Arts Organizations. Prior to election as Judge owned and operated a law firm with practice areas of constitutional, civil rights, employment law and litigation.